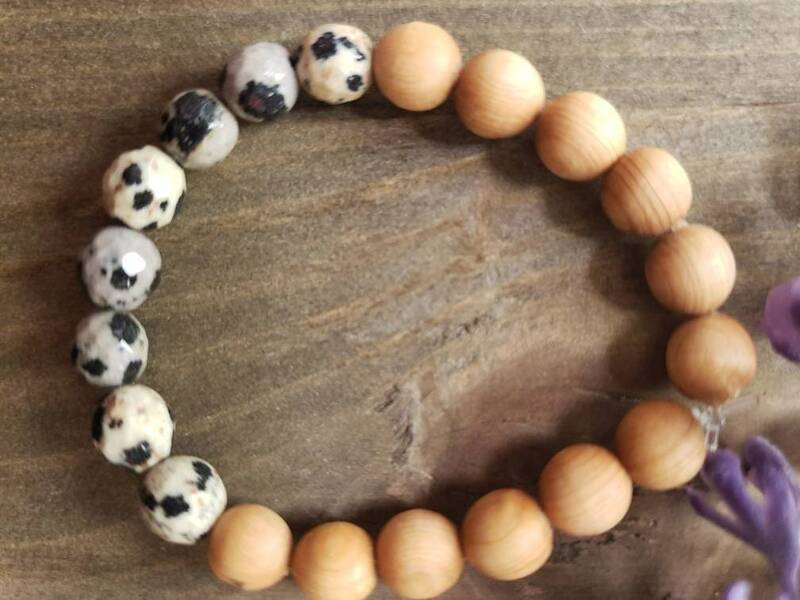 This Dalmation Gemstone Bracelet is perfect for the person that's wanting positivity, happiness and a little push to move further in life. 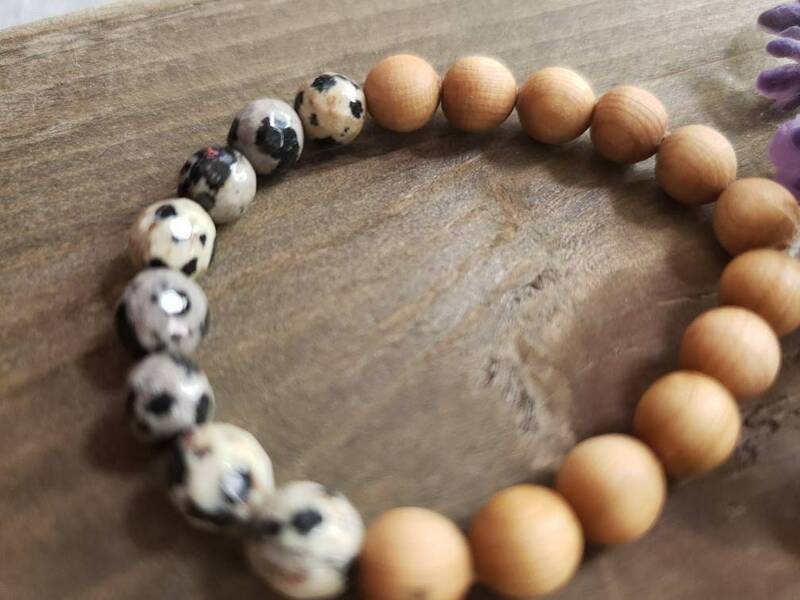 Dalmation Jasper also helps to break down barriers you have created around yourself. For children this Gemstone encourages playfulness and happiness. It has a calming energy and known to help your child have sweet dreams. Helps to strengthen the family bond. For any age or gender to benefit from wearing! 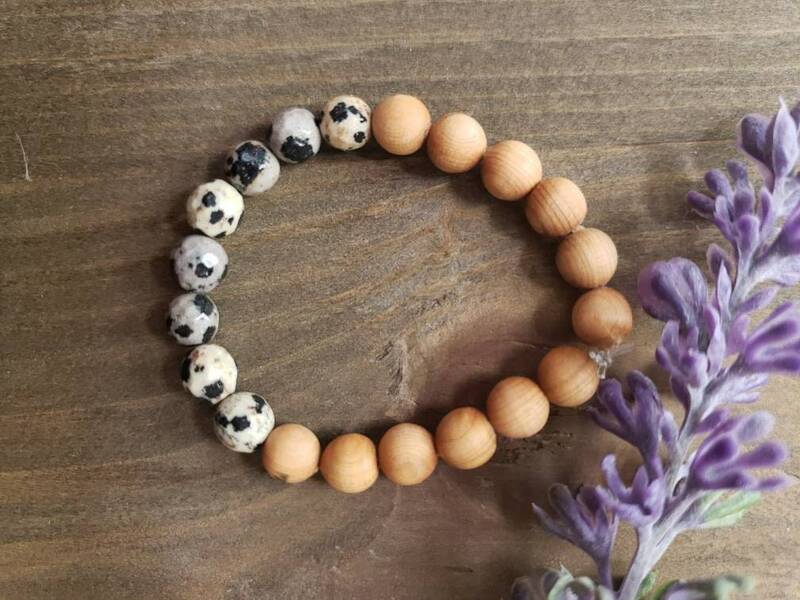 Quality natural faceted 6mm gemstone, rosewood and stretchy cord. To order, measure your wrist with a measuring tape. Choose the measurement from the drop down menu and I will add extra length on for comfort . If you have a specific size not listed or if you want a certain amount of extra length added please write it in the comments. Please handle the bracelet with care. Do not pull too tight on the cord to avoid damage to the cord. If giving this bracelet to a child please monitor your child wearing it, the beads are very small and could cause a choking Hazzard .